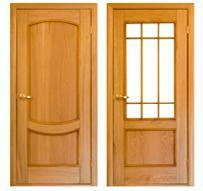 We manufacture and stock a wide choice in quality timber doors which can include high security reinforcements like steel. Physical security installations are an area we offer a detailed expertise in as we manufacture equipment as well as supplying and installing it. We can create bespoke designed items for very specific requirements or a range of typical items includingsecurity grilles or steel security doors and frames. Just like our installations our replacement timber doors are made to the very highest standards from quality materials, and they come in a range of styles suitable for the home or office. We take pride in creating and supplying the highest quality products, but they can only ever be as good as their installation and our team of experienced and fully qualified security fitters provide highly personalised customer care. We get to know exactly what you need and want so that we can tailor a package of security installations and enhancements that perfectly fits your home or business property. Our replacement timber doors service combines the skills of our locksmiths and carpenters to ensure maximised security potential from every installation and budget. Making good or reinforcing frames, hanging superbly made doors then advising and fitting from a diverse range of locking systems; as members of the MLA you can rest assured in our hands.